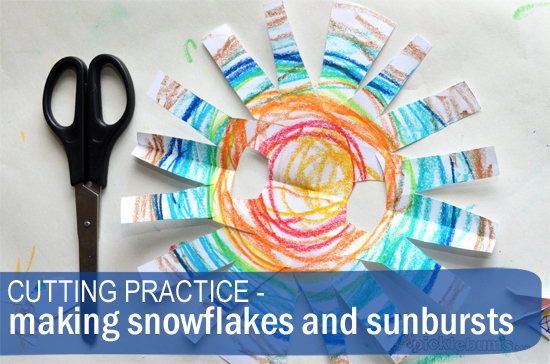 Cutting Practice – Making Snowflakes and Sunbursts. My big boy has had an attack of the ‘can’ts’ lately. If he can’t do something perfectly, first time, then he ‘can’t do it’ at all and often storms off or chucks a wobbly, no matter what anyone does or says. Controlling scissors has been one of his biggest ‘can’ts’. He sees the girls cutting intricate little crafty masterpieces, and of course he wants to do that too. The thing is, he’s quite good with scissors and with a little practice and confidence he’d be right there making a huge mess all over the table and floor with his sisters. So… some cutting practice was in order. 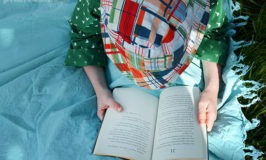 I needed an activity that was cool enough to keep him motivated, easy enough that he didn’t give up straight away, but challenging enough that he really got to practice those skills and feel proud of what he achieved…. Snowflakes and Sunbursts it is! 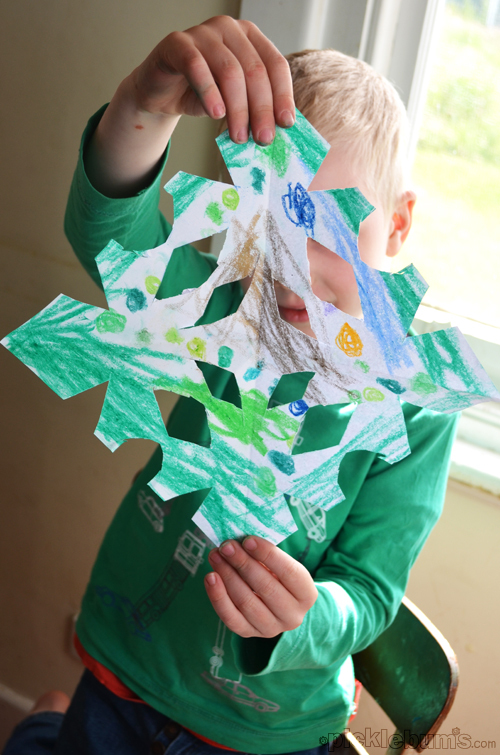 Making Simple Snowflakes and Sunbursts. paper – cut into fairly large squares and/or circles. scissors – child sized, for the correct hand, and a set that cuts thick paper well. pastels or markers – optional. I know you all remember doing this when you were a kid, and nothing has changed. The basic idea is to start with a square or circle, fold it and fold it again, cut out sections, unfold and there you have it… snowflake. To make it a little more kid-friendly we started by colouring in our squares and circles, because I know Morgan likes to draw and colour and is confident with it. See what I did there? Boosting the confidence factor early before getting to the tricky ‘I can’t’ part! Then we folded the paper; in half, then in half again. With the squares you can fold them diagonally into triangles or across into a rectangle then square, you’ll get different results with each one. Then I drew and coloured in the shapes to be cut out so it was easy for Morgan to know where to cut. Then we picked up the scissors…. “Thumb on the top, thumb on the top” we chanted to remind him to keep his hand the right way around. “Guiding finger ready?” – to remind him to put his middle finger in the hole and use his pointer to support and guide the scissors. “Little snips!” – to remind him to cut in small sections and slowly so as not to snip off more than intended. With a little help guiding and holding the paper at first he was soon managing on his own and was well pleased with the results. 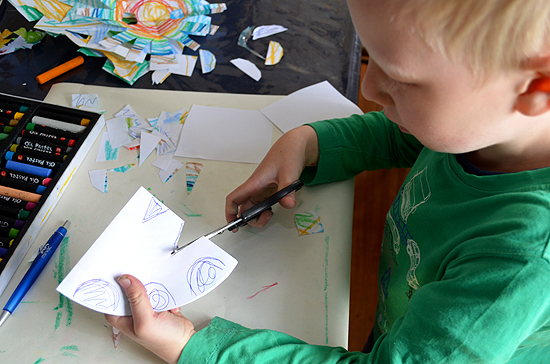 We found that only folding the paper over twice worked best – it meant that there were not too many layers to try and cut through, enough space to draw larger shapes which were easier to cut and more space to hold onto the paper without snipping your fingers. For some fabulous, straightforward information about teaching kids to use scissors check out OT Mum Learning Acitivites. For more snowflakes pop on over to Lessons Learnt Journal and for another great cutting activity pop on over to Childhood 101 and make some paper bags together. 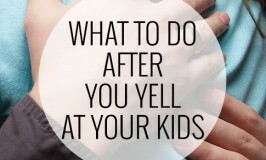 Do your kids ever have an attacke of the ‘I can’t’s? What do you do about it? My nearly 3yo is so keen to use scissors, but I was having a hard time finding the right words to describe the process to him – this is a huge help! Thanks! 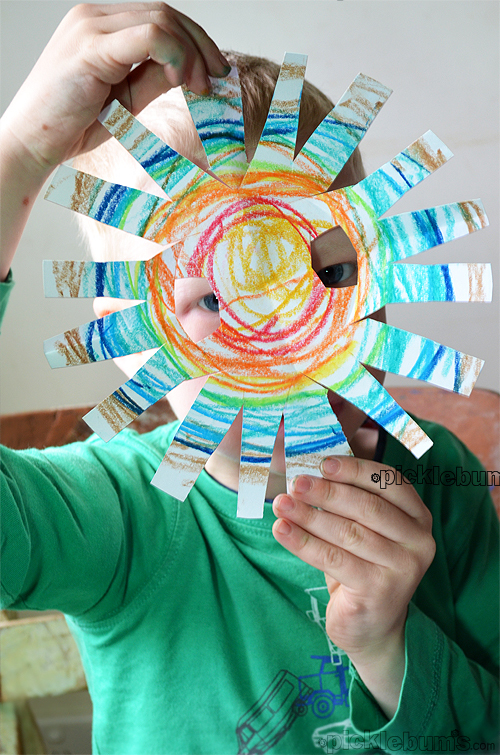 I’ve never made a sunburst! I LOVE how you are building confidence – what great ideas too. Awe he looks so happy! ANd agree, great to get the kids practicing their cutting! My 3.5 year old daughter reacts the same way with the whole “can’t” issue! I like it.I think it works wonderfully.I try to teach my students appreciate this concept. 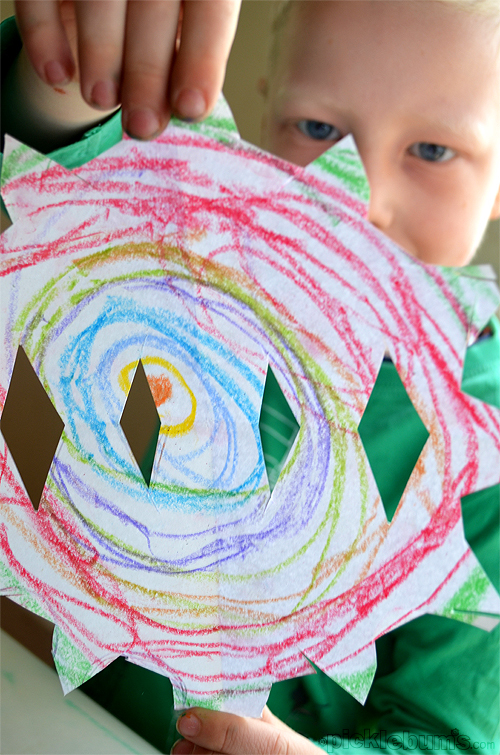 Home » Cutting Practice – Making Snowflakes and Sunbursts.